"Training with Joan is a one of a kind experience. My brother and I attended two clinics with Joan. We learned so much. She made us ride for a minimum of four hours daily. It was very intensive but so much fun. Joan's approach is very detail oriented. She doesn't let bad habits go unsolved. She is very creative in making sure you get the concept right. For example, we trained flat work, jumped, did cross country, we hiked in the forest and crossed rivers and we even raced on a race track. Joan managed to take us to a competition in Spain where I took first place and my brother 7th place. I recommend Joan for both professionals and amatuers alike." "My training with Joan was one of the best experiences I have ever had with horses. I was only 12 when I went to train with Joan. It was the perfect time for me to be pushed to the next level. Joan pushed me out of my comfort zone but in a very positive and careful way. 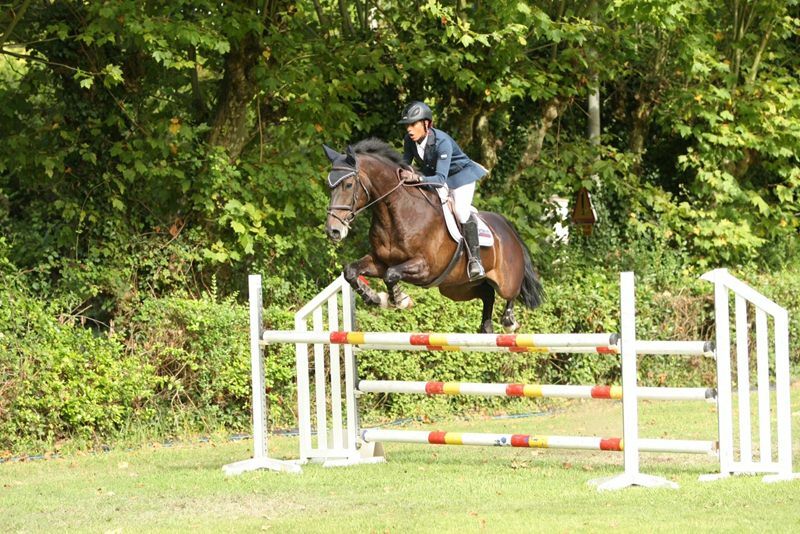 By the end of summer I was a much confident rider I was able to ride different horses and jump up to 110cm. I will definitely go back to train with Joan and I will never forget the important tips she gave me." "Taking a summer to train with Joan was by far one of the best decisions I've made in my equestrian career. We worked on increasing my jumping height, as well as strengthening foundational aspects of my riding. She helped increase my confidence and decrease my anxiety as a rider. We also had a ton of fun exploring Pau! When I returned to the US, my riding instructors commented on my improved straightness and level-headedness. They definitely noticed the difference." 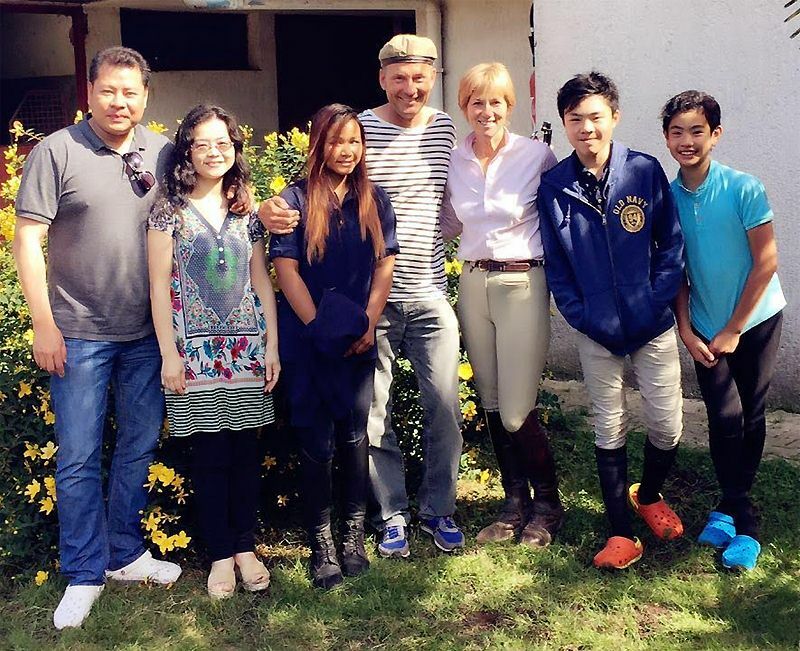 "When our family decided to send the two boys, aged 11 and 13, to Europe to see the world of equestrian, we were introduced to Joan McLaren by one of the most famous professional stables in Shanghai, China. They worked with Joan to bring in quality and well trained horses for professional Chinese riders at their stable. 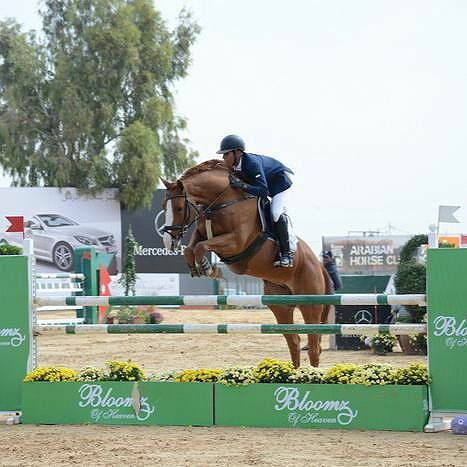 This stable was handpicked by one of the well-regarded British international schools in China as the stable to provide equestrian training to their students. We were excited of the recommendation and during the sixteen days full-day training at Joan's stable in Pau, France, the two boys were exposed to various perspectives on horse riding including stable management, horse care, histories and cultures of horse riding, tapping into Joan's many years coaching experience for Olympic medalist and national champions at places like US, Italy, Ireland and now Pau, France, in addition to key flatwork and core skills for dressage, show jumping and cross country. After the sixteen days training when they returned to China, they ride at a totally different level of skills and confidence. I am very pleased and excited of the many possibilities for my two boys. We also met quite a few parents from other places of Europe sending their young adult kids who take riding seriously to Joan. We highly recommend Joan McLaren to riders who are committed to nurture high level skills for riding of all types."